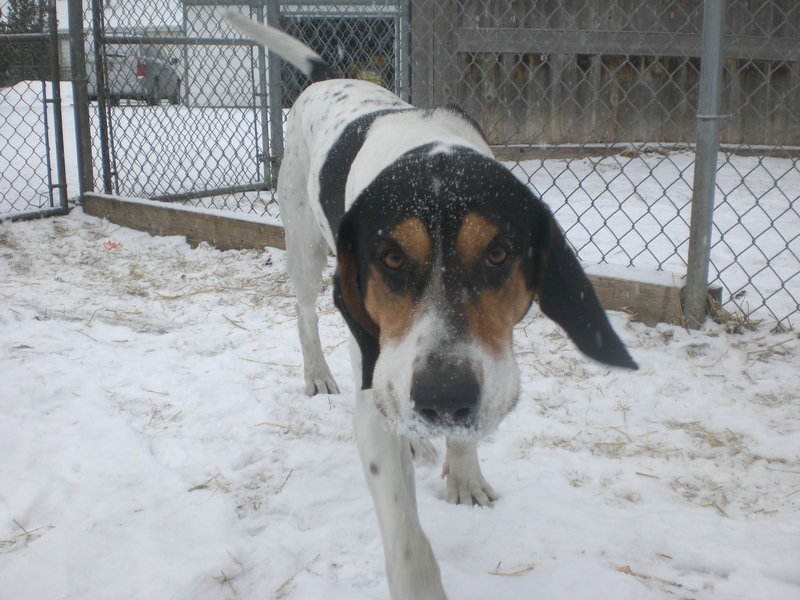 There are some handsome Hound dogs waiting to be discovered at Orphans of the Storm® right now! 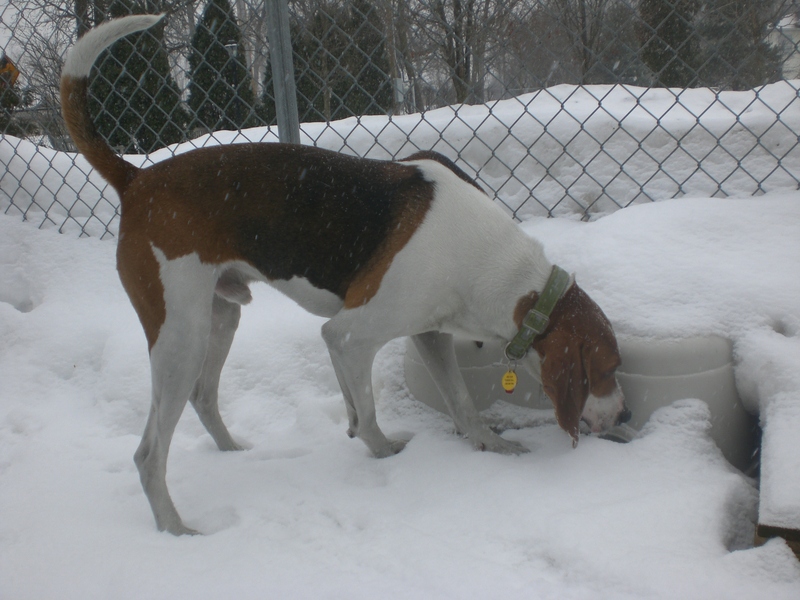 Ranger the two-year-old Treeing Walker Coonhound mix falls into the “medium-sized” category this week. Ranger was very happy to come out and play in the snow, and did pretty well walking on the leash. Once he was in the off-leash run, though, he was ready to stretch those legs and ran a couple of laps before settling down. Ranger is a sweet boy. In fact, he gave me my only doggy kiss of the day, right on my chin. Although Ranger loves to run around, he will come to a full and complete stop as soon as you start to pet him, and will stay right by your side until you stop. He isn’t too particular about where you pet him: back, chin, ears–it’s all good to Ranger! If you’re looking for an active dog to keep you company on your outdoor adventures, come in soon to meet Ranger! 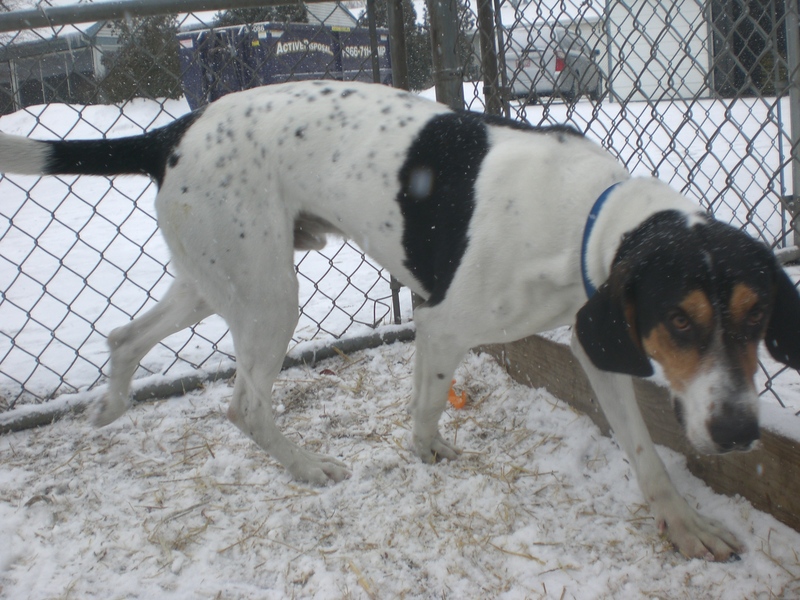 Ralphie the three-year-old Treeing Walker Coonhound mix is a big, big boy. The paw prints he left in the snow were huge! Ralphie was even more excited than Ranger to come outside, and he had me running through the snow behind him before we made it to the off-leash run. Ralphie seems like the kind of dog who gets along with just about everybody. 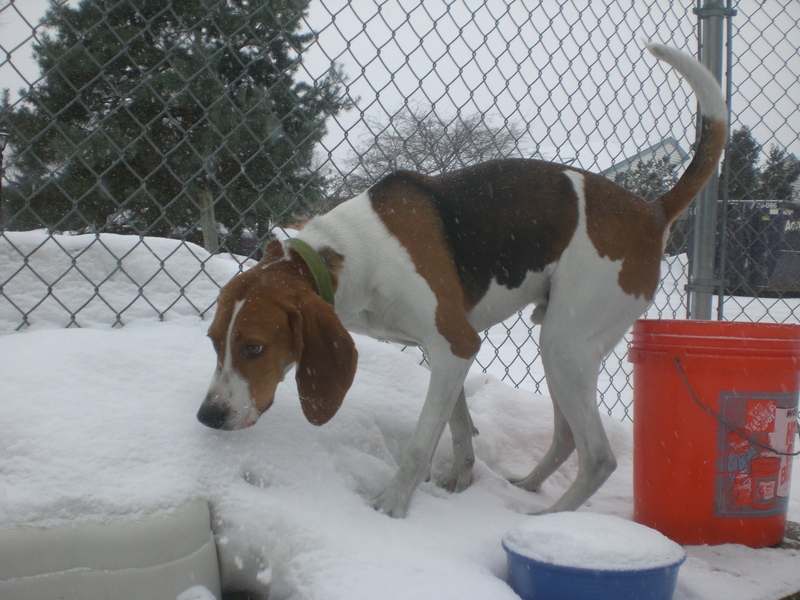 Ralphie, being a Hound, has plenty of endurance and would need plenty of exercise in his new home, whether that be a nice long walk or a big yard to play in. But once he’s gotten his exercise, he’ll be ready to cuddle up with you and enjoy all of the love and attention you can give him. He has that great Hound howl, but only uses it on occasion. If you’re looking for a big dog with a big heart, Ralphie could be the one for you! 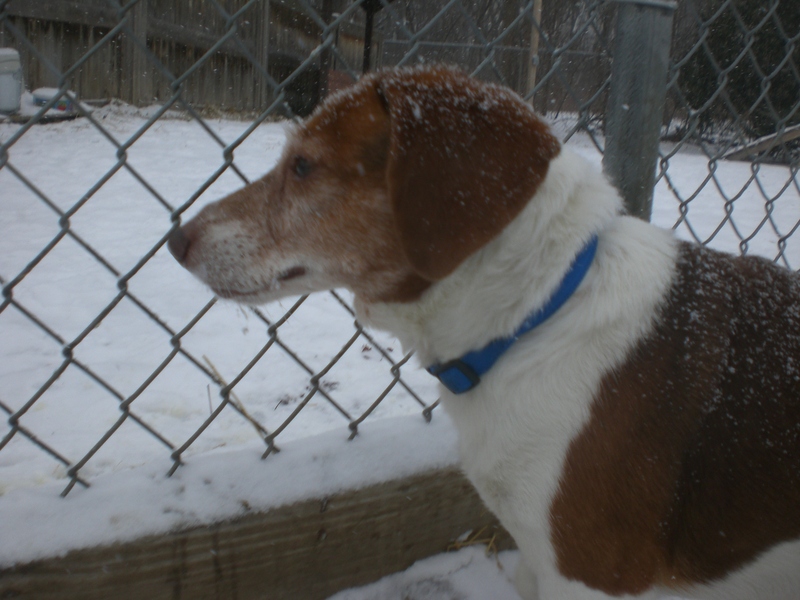 Buddy the ten-year-old Beagle mix was the smallest of the Hounds I met this week. This little guy is all sorts of adorable. To Buddy, age is just a number. He was romping through the snow even though it was as deep as his legs, if not deeper, and wasn’t showing any signs of slowing down. Buddy will follow his nose wherever it takes him! Buddy wanted to say hello to all of the other people and dogs we encountered while we were out, so “shy” is definitely not a word I would use to describe him. Also, Buddy’s tail is wagging pretty much all the time. He’s a happy pooch, but would be so much happier in a comfortable, loving home. He’s the perfect size for snuggling and would make a great companion. On your next visit to the shelter, be sure to stop by Buddy’s kennel! Cupcake the five-year-old Jack Russell Terrier mix may not fall into the Hound category, but she is just too cute to keep out! 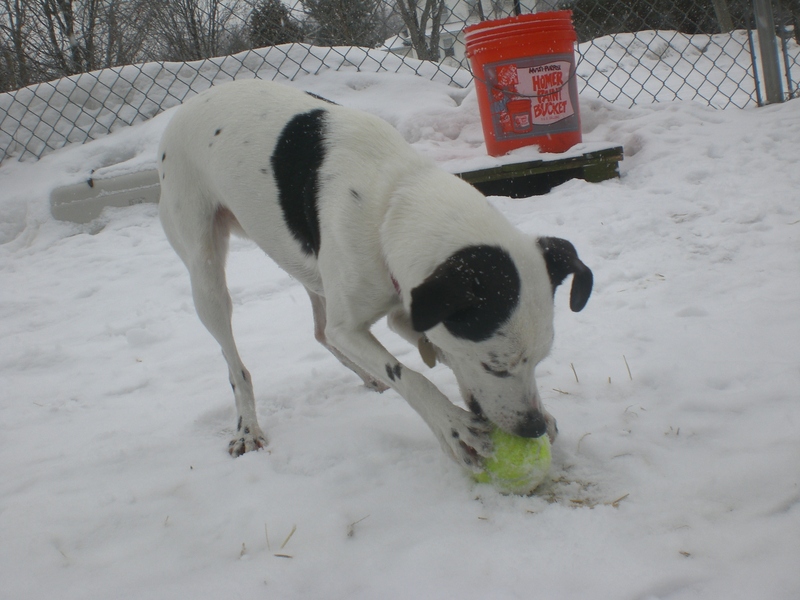 Cupcake is friendly with people and dogs alike; when she first arrived at the shelter, she was sharing her kennel with two other dogs who have since been adopted. Even though Cupcake had just met me moments before, she had no problems with me picking her up and carrying her (so she wouldn’t have to walk in the salt on the sidewalk). Cupcake absolutely loves to play fetch. She found a tennis ball inside the off-leash run and had a great time chewing on it and chasing it. She was very good at bringing the ball right back to me, and I had to be the one to end the game because I was afraid her little paws were going to get too cold! Cupcake is another pooch who is great at cuddling. Terriers have even more energy than Hounds, though, so Cupcake would be happiest in an active family with plenty of playtime. If you think that might be you, come in soon and get to know Cupcake! 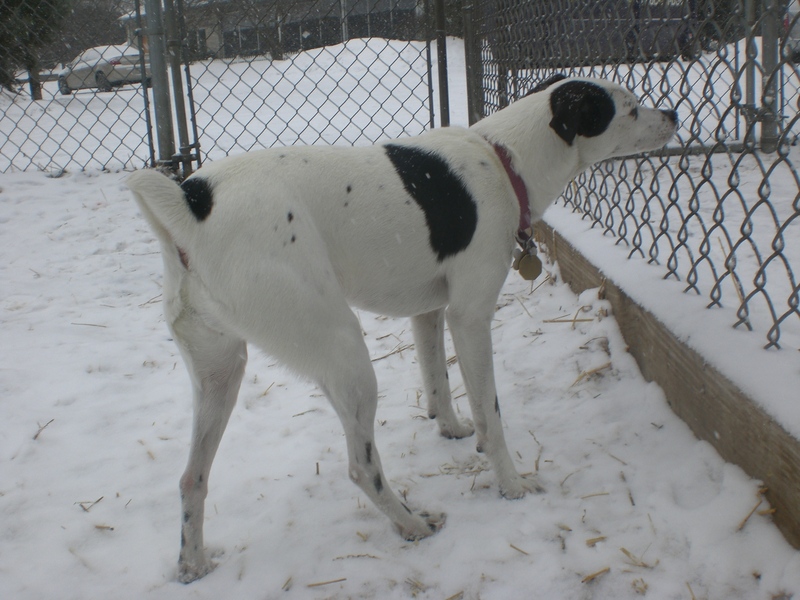 Some other pooches who enjoyed the snow this week were Wilbur, Rosco, Jade, Keini, Winter, Trixie, Akiva, Lucky, Corky, Topaz, and Ebbie. 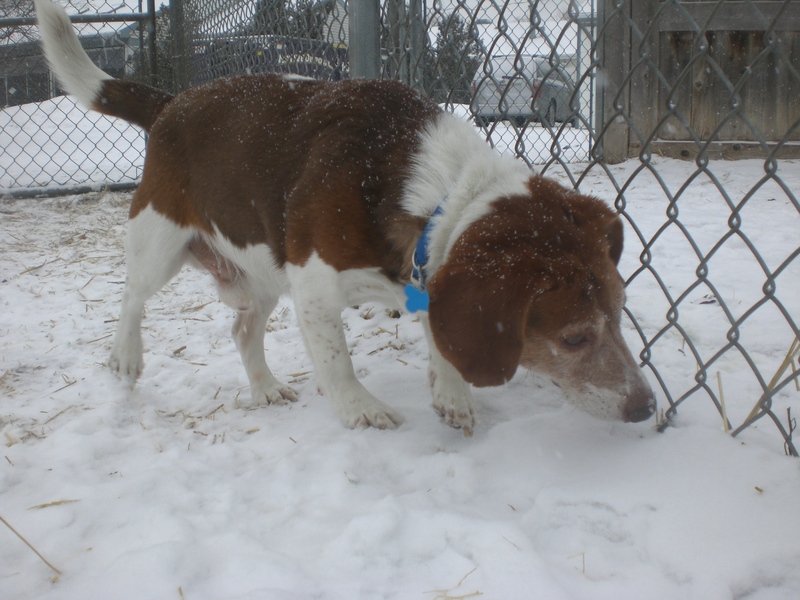 Posted by Meet the Pooches on January 23, 2014 in Dog Profiles and tagged adopt, adoption, animal shelter, animals, Beagle, Chicago, dogs, Hound, Jack Russell Terrier, Orphans of the Storm, pets, Treeing Walker Coonhound.